I was provided the ebook version by the author Nolan Clark for this review. 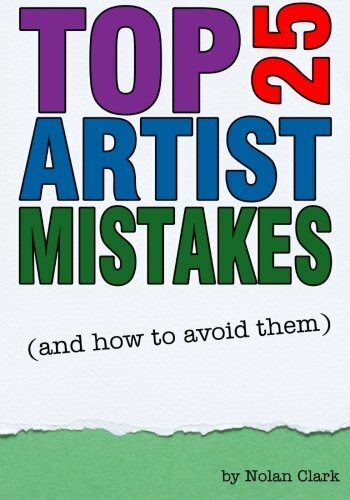 Top 25 Artist Mistakes is quite an useful book for beginners, and perhaps for advanced artists as well. The book lists 25 of the most common mistakes that art practitioners make, then provides solutions and techniques to overcome them. If you've ever wonder why your drawing doesn't look right even though it's completed, there might be something in this book to give you the answers. In addition to covering the basic art fundamentals, it also looks at details that will make your artworks more interesting, stronger in the composition and narrative. Having read through the book, I've also picked up a few mistakes that I make at times. This is a book that I'll definitely read again in the future for reference. It's a helpful resource. The paperback version is available on Amazon via the direct links below.